I am an experienced Notary Signing Agent who take pride in providing an error free signing. I have been a NSA since 1999 and I have completed well over 5,000 signings. I have experience in all types of loan docs, including: Reverse Mortgages, Modifications, Constructions and Purchases. I will provide a professional, accurate and timely service to your clients. I am certified, 100K EandO insured, and bonded. I am an approved signing/closing agent for all Fidelity National Title affiliates. My main coverage areas are the Counties of: San Bernardino/Los Angeles/Orange and Riverside. Available 24/7; short-notice and same day signings welcome. High-speed internet accommodates last-minute e-docs w/unlimited email memory storage. I have all necessary equipment, including laser printer to complete my assignments. Please contact me @ (951) 218-2971. 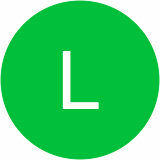 As an FYI: My e-mail address is: ljc_signingservice@yahoo.com. Thanks!